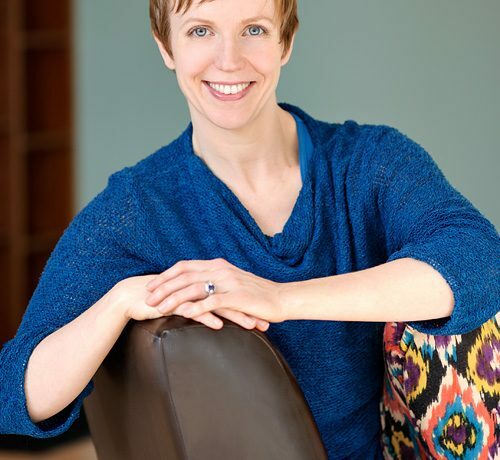 Fannie Hungerford, 500 RYT, 200 E-YRT, Level II ParaYoga Instructor and Certified Four Desires Trainer, is a yoga and meditation teacher based in Iowa City. She is Iowa’s only ParaYoga certified teacher. She is a firm believer in the time-tested power of the ancient practices of yoga. A lover of people and with a great interest in the human condition, her teaching is grounded in the energetics and psychology of yoga, and provides experiences for the Soul alongside tools for leading a less-burdened life. As an initiate in the Sri Vidya spiritual tradition, she leans on the wisdom of the masters as she transmits the teachings for the modern-day practitioner. She aims to practice daily to tap into the boundless supply of peace, patience, playfulness and love that is available to us all. A native of South Carolina, she was introduced to yoga in 1999, by her Marine Science teacher in undergrad. While living in Chicago, she practiced and studied at Moksha Yoga Center where she received her 200 hr teacher training. In 2008, she met Rod Stryker, and committed to studying with him and immersing in the ParaYoga curriculum. She continues to study with Yogarupa Rod Stryker, as well as his teacher, Pandit Rajmani Tigunait of the Himalayan Institute. Fannie is on faculty at the University of Iowa, teaching yoga (practice and philosophy) in the Theatre Arts Department. She is a teacher at Heartland Yoga in Iowa City, and leads yoga teacher trainings, retreats, workshops and private yoga sessions. She is the momma of three young children, and occasionally moonlights as an actor and a dancer/choreographer.